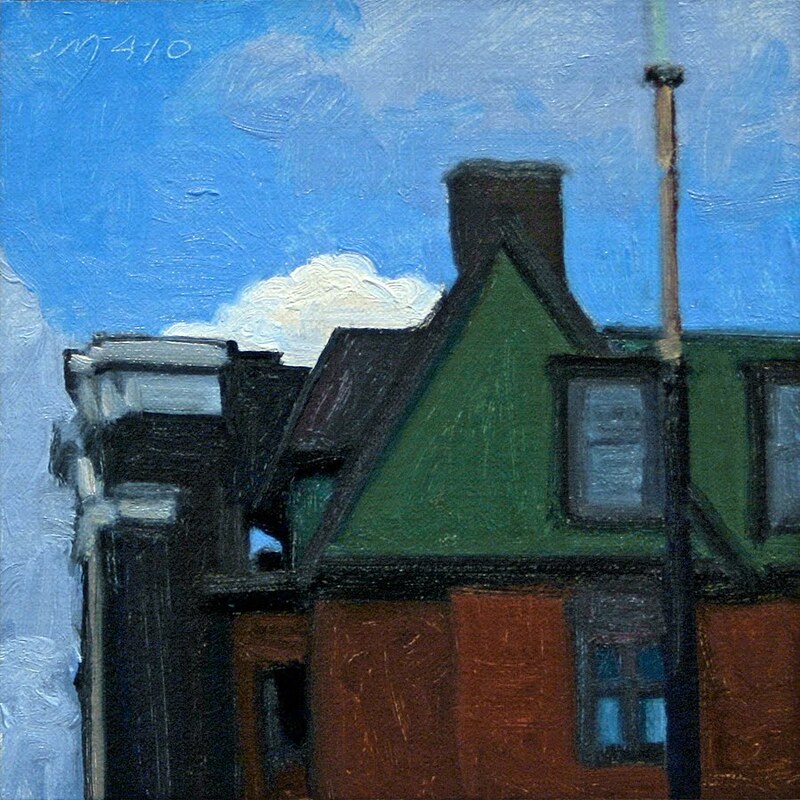 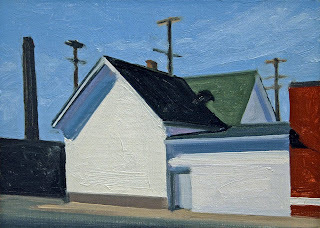 Oil on linen/panel, 2010, 7"x5"
Today's daily painting is an urban landscape of sunlight on an interesting house with blue awnings. 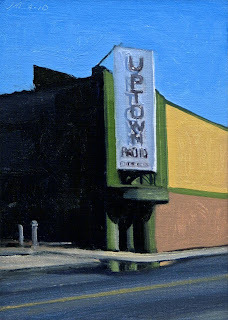 Today's daily painting is an urban landscape of the Uptown Radio Company building. How could I pass up painting this wonderful building. 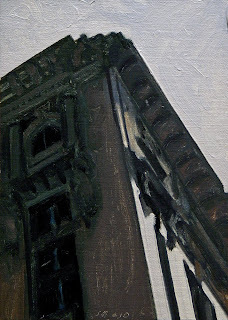 Oil on linen/panel, 2010, 5"x7"
Oil on linen/panel, 2010, 5"x5"
Today's daily painting is an urban landscape of Midtown buildings with clouds behind. 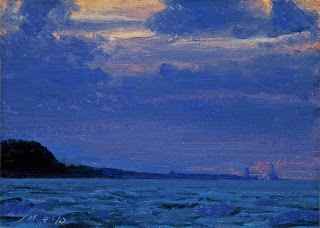 What interested me in this view was the contrast of the rich dark foreground against the very light sky. I also liked the very close values in the buildings making them work as one unit. 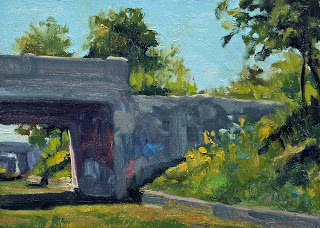 Today's daily painting is an urban landscape of a section of the Dequindre Cut below grade rail bed. It is being turned into a greenway park. 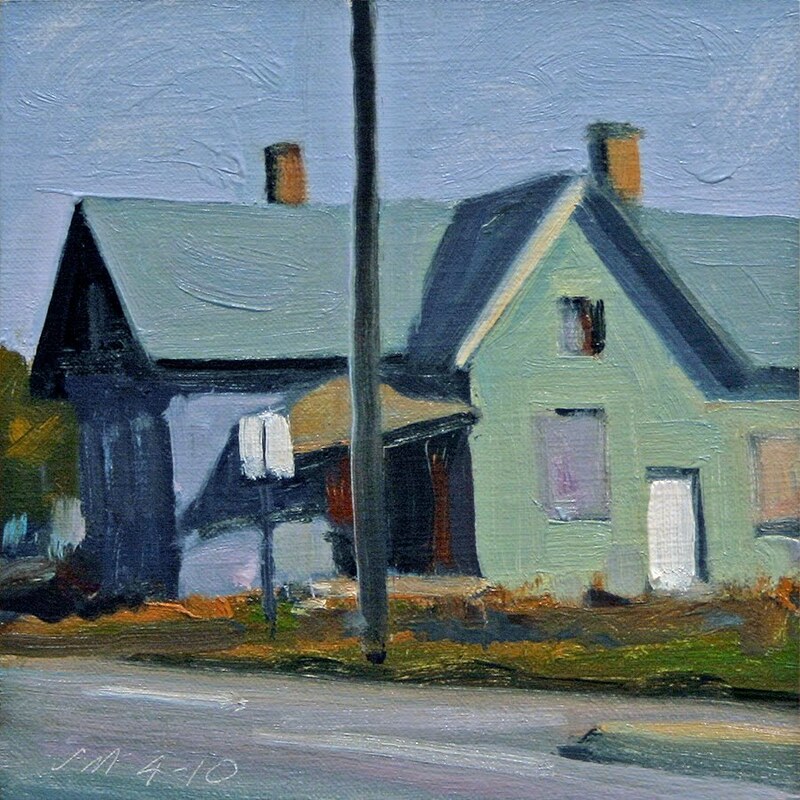 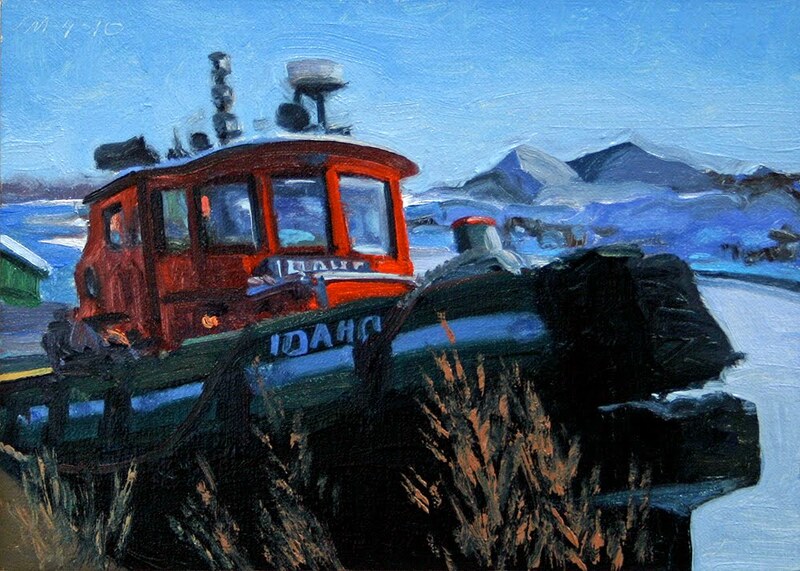 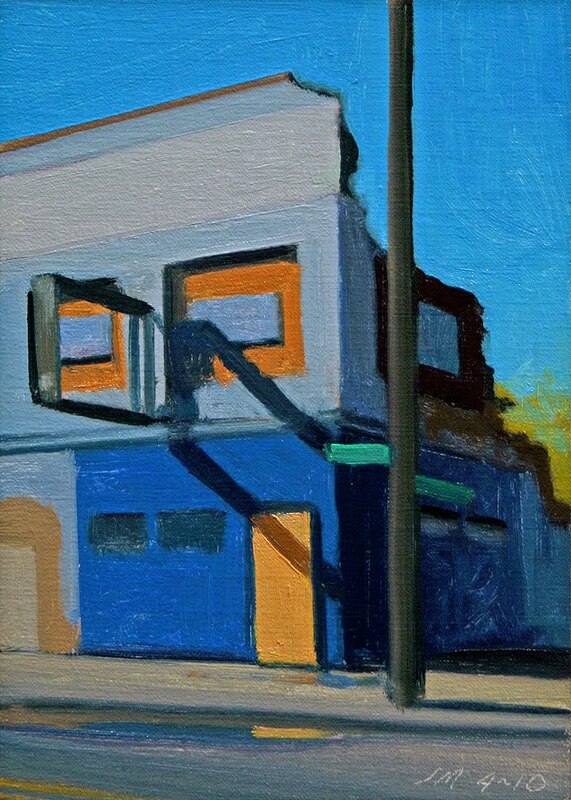 To a collector in Cedar Rapids, IAToday's daily painting is an urban landscape of sunlight and shadows on an abandoned and boarded up building. Number seventy-five in the Abandoned, Portraits of Detroit series. 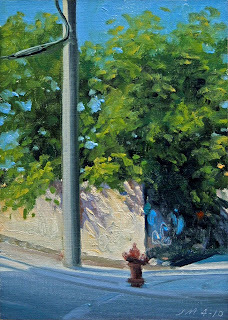 Today's daily painting is an urban landscape of sunlight and shadows on a corner wall. there are streets in Detroit that really ask the question,what was here before. The mystery of this corner caught my eye, who and what was here through the many years. 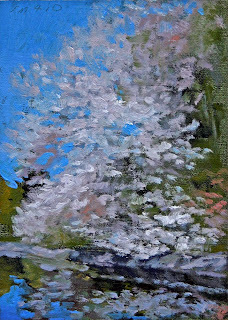 Today's daily painting is a landscape of a beautiful flowering tree and reflections on the grounds near the Cranbrook Art Museum in Bloomfield Hills, MI. 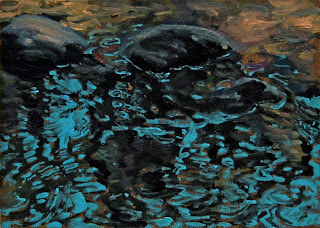 Today's daily painting is a landscape of reflections on Sugar Creek in Northwest Ohio. 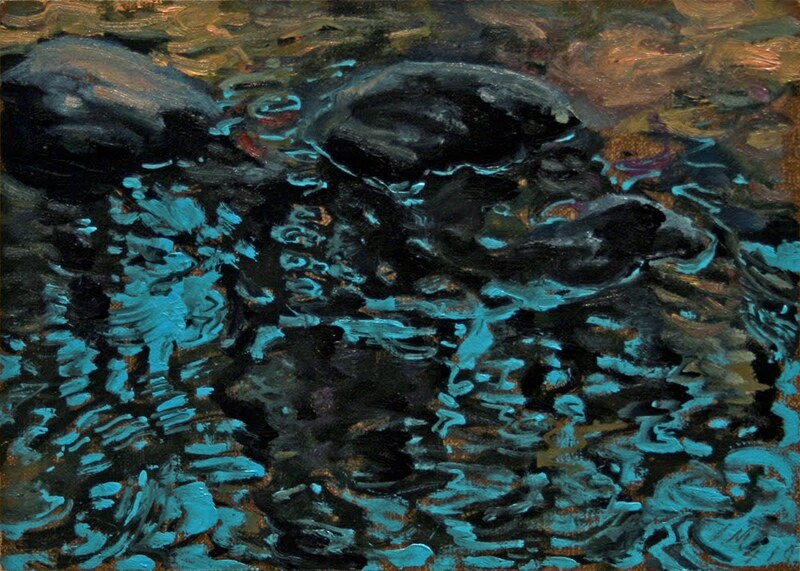 As a child I spent many happy hours in, on and around this creek. still lives along Sugar creek. 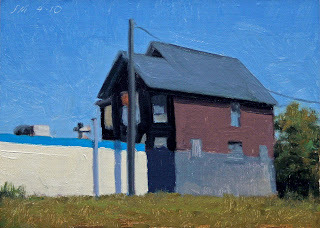 Today's daily painting is an urban landscape of a ghost wall. 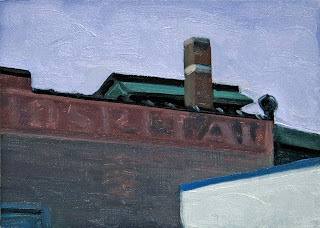 Most large cities have worn and weathered advertising images or type that are still visible. Might make an interesting series of paintings. 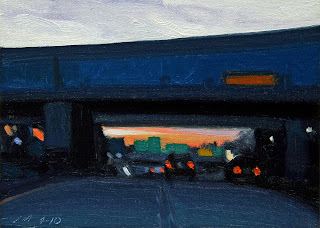 Today's daily painting is an urban landscape of car lights, overpass and and evening sky. 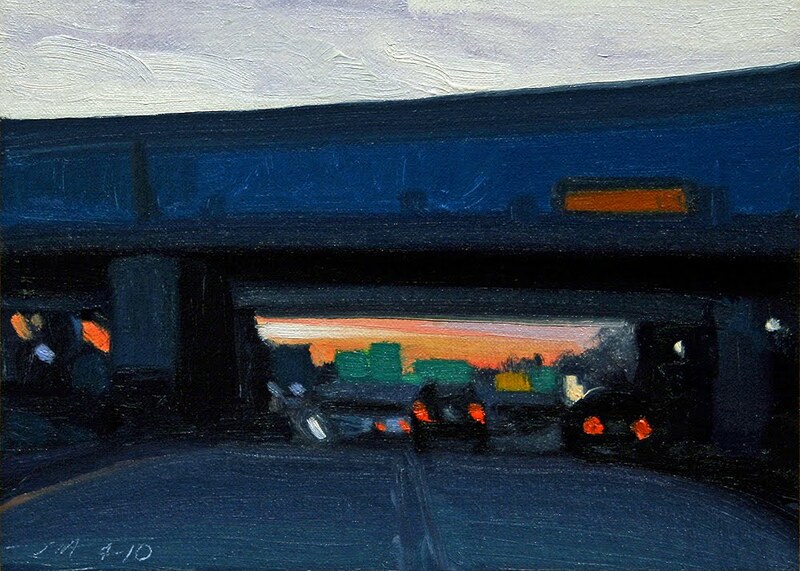 I really liked the mass of the overpass contrasted with the brightness of the lights and evening sky. 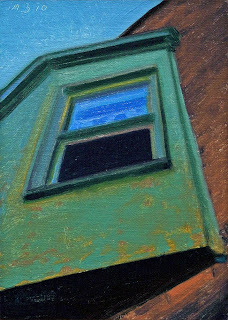 Today's daily painting is an urban landscape with a teal green wall slicing the picture in half. 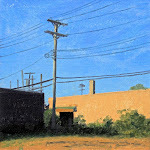 I enjoy painting the urban landscape with all it's strange touches of man on the landscape, for better or worse. 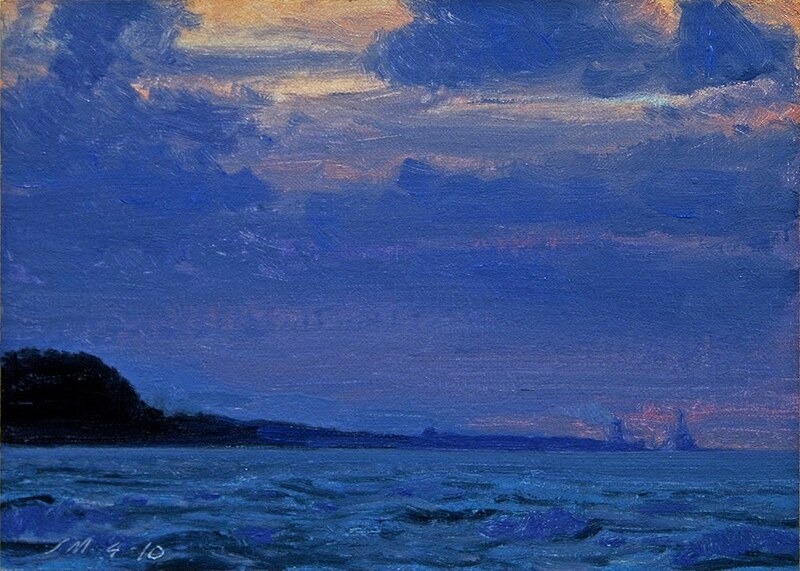 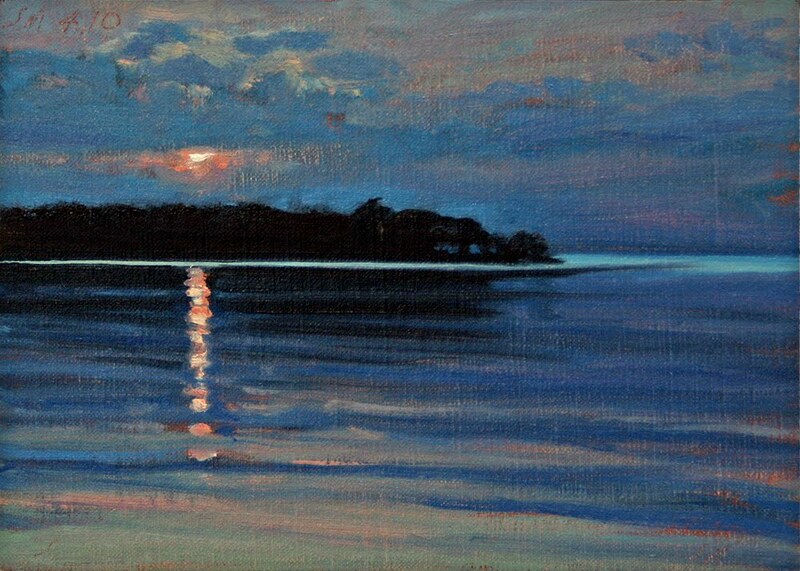 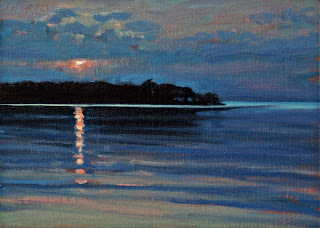 To a collector in Adelaide, South AustraliaToday's daily painting is a nocturne of Lake Huron east of Port Austin. 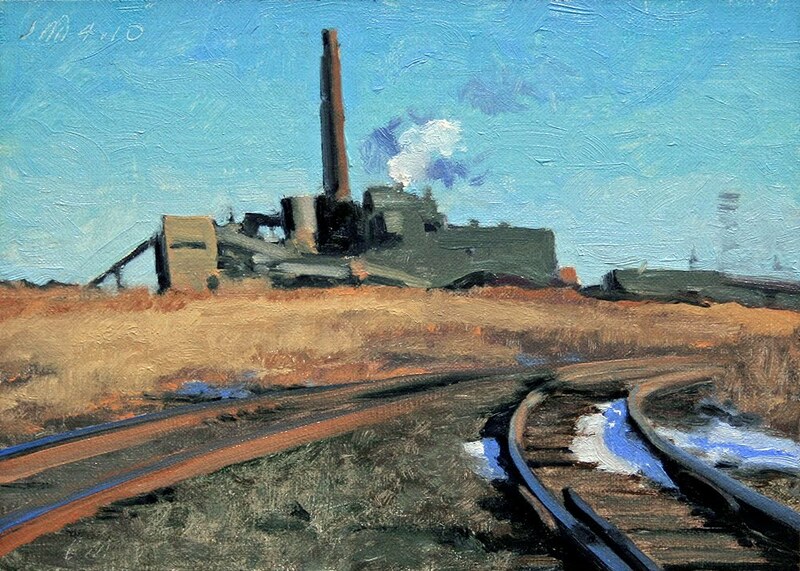 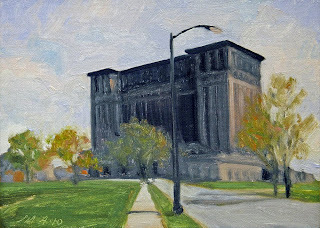 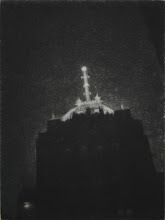 Today's daily painting is the twelfth in the Michigan Central Train Station series. 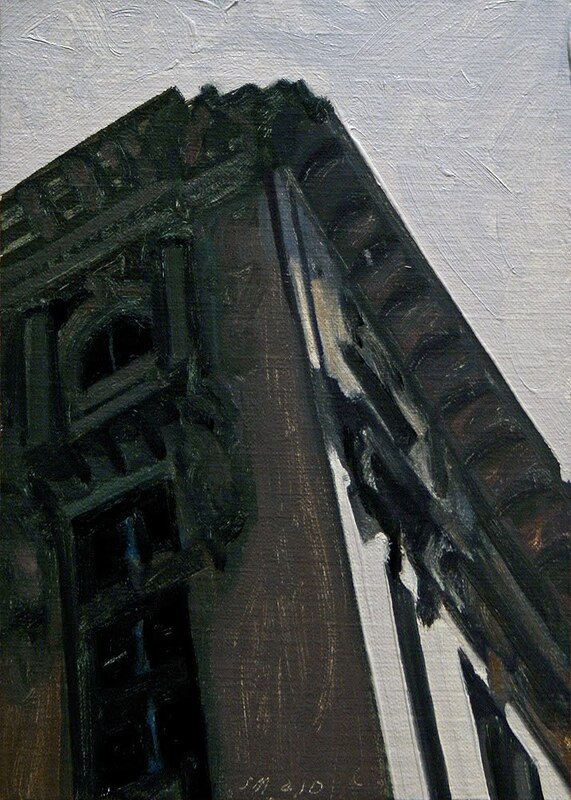 I was interested in the beauty of the massive bulk of this incredible building seen from 16th Street on a spring day. Today's daily painting is an urban landscape of an abandoned corner building in Delray. 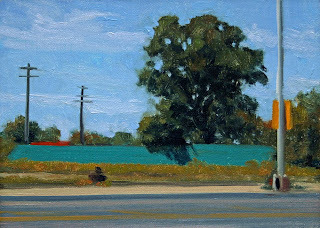 I really liked the saturated color in this scene. Today's daily painting is an urban landscape of a house with spring sunlight and shadows. 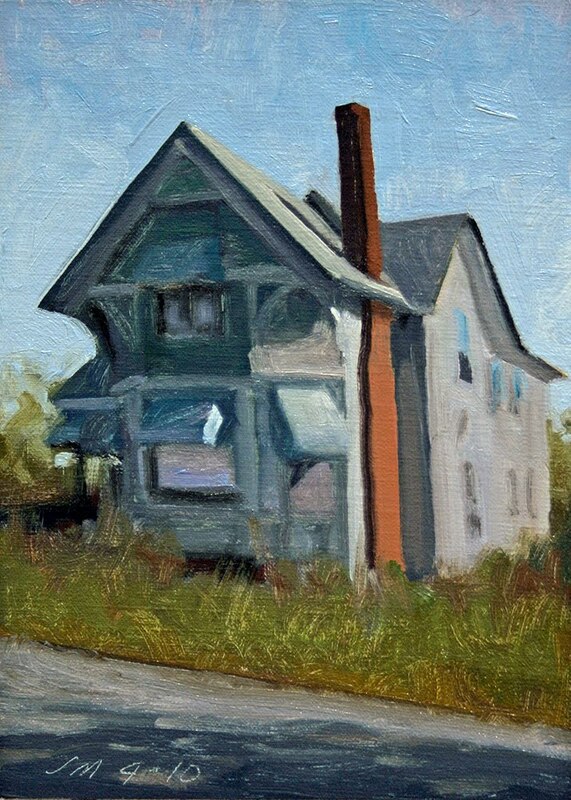 Today's daily painting is a view of an interesting house in the Trumbull St area of Detroit, same area as yesterday's painting. 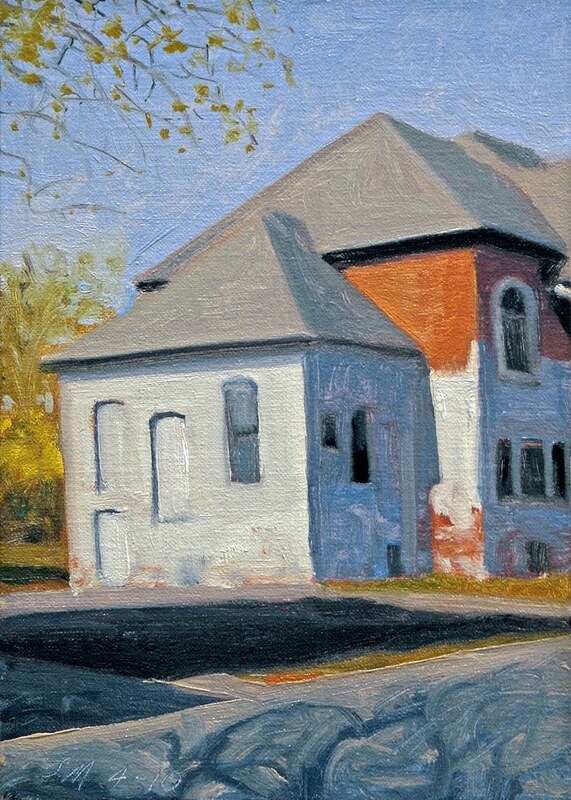 I really liked the warm, spring like palette in this painting. 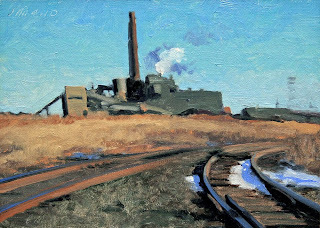 Spring has arrived very early this year. Let's hope we are not being fooled by Mother Nature. 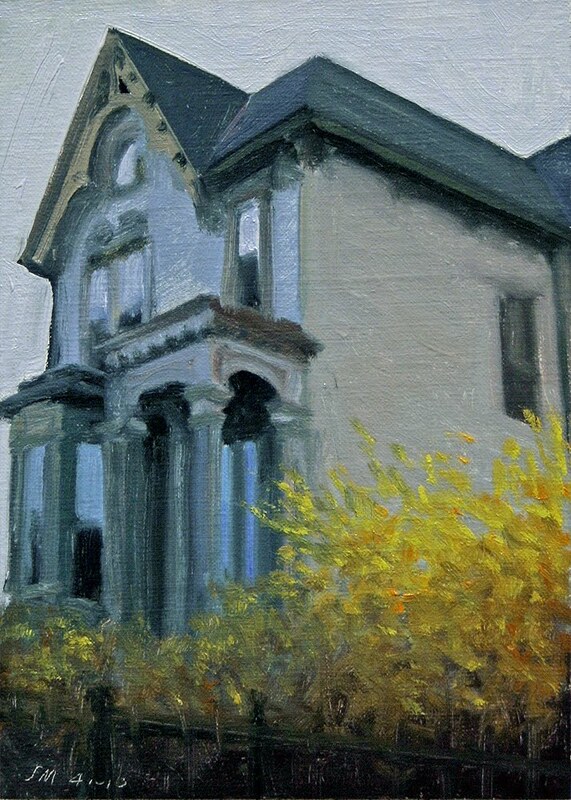 Today's daily painting is a view of an interesting house in the Trumbull St area of Detroit, with a large flowering Forsythia in the front yard. 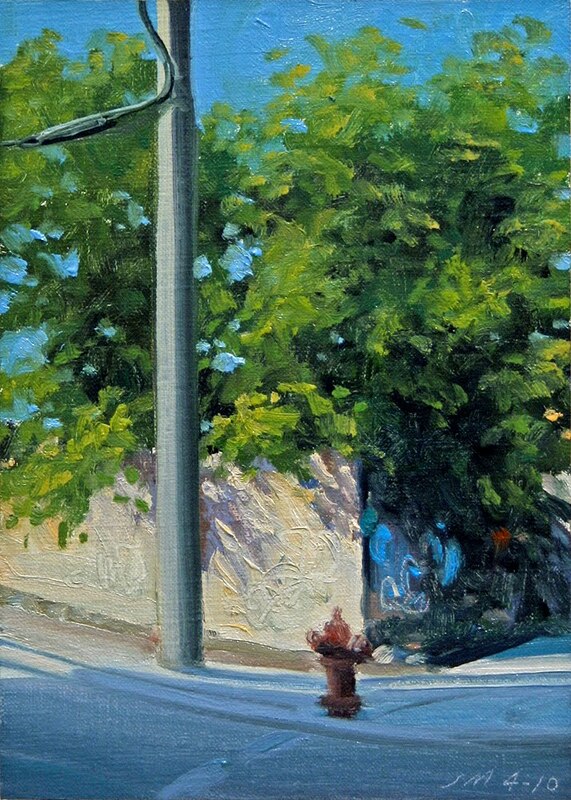 We are having a beautiful Spring this year. March was one of the nicest I have ever seen. Today's daily painting is the eleventh in the Michigan Central Train Station series. 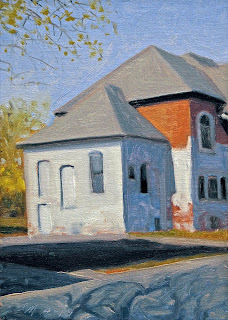 I was interested in the beauty of the harsh reality of this incredible building. 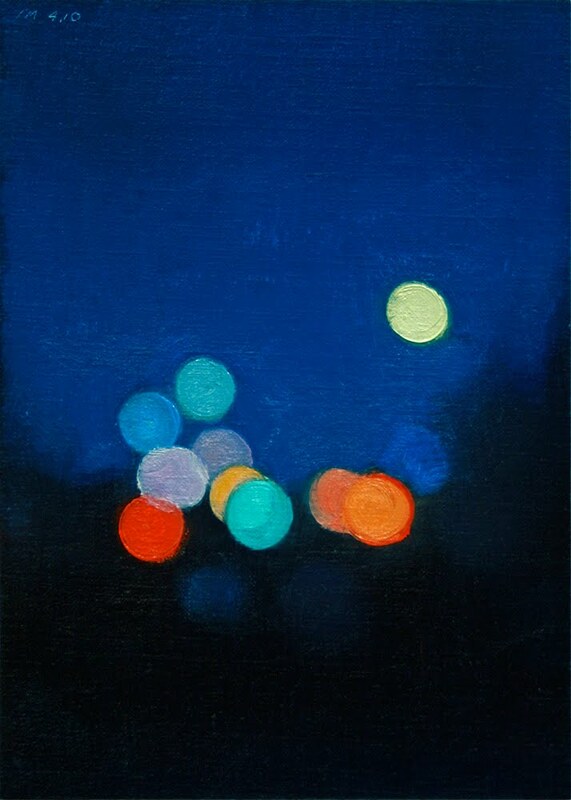 It's dignity always takes me by surprise. 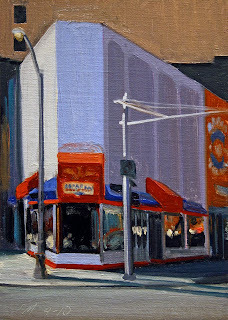 Today's daily painting is an urban landscape of the American Coney Island in downtown Detroit. 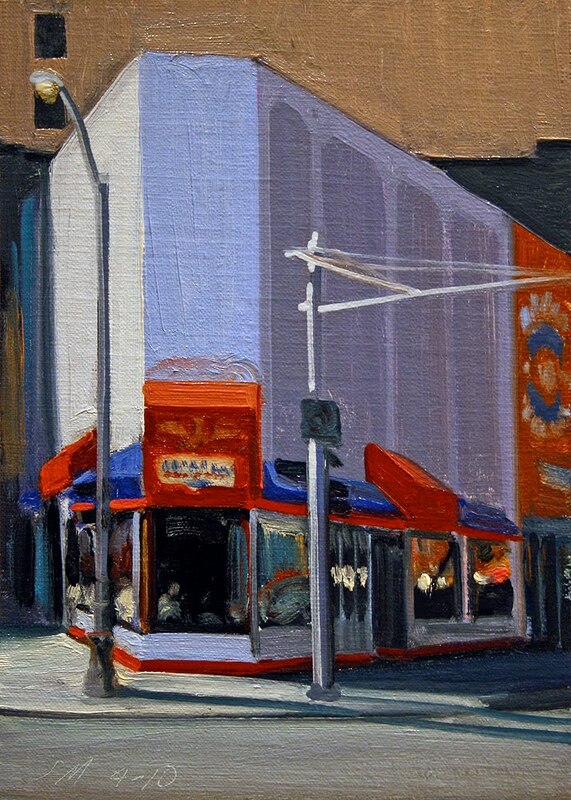 The American Coney Island was founded in 1917 by Constantine "Gust" Keros, who immigrated to Detroit from Greece in 1903. 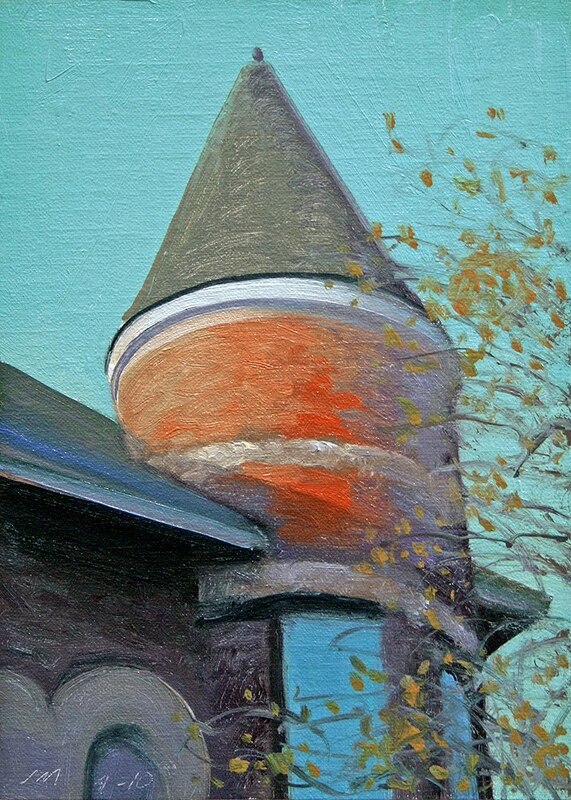 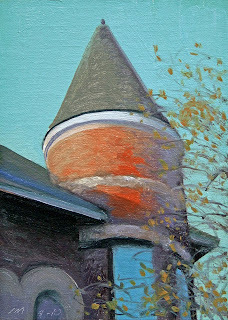 Today's daily painting is a detail of a building on Trumbull St in Detroit. 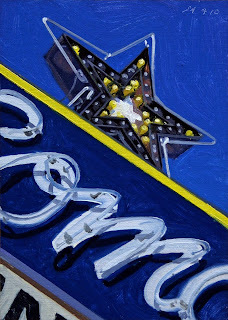 This painting is in memory of Mick Vranich, poet, musician, carpenter, activist, friend, mentor, husband and brother. 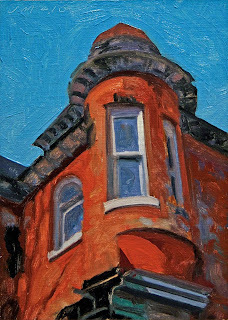 Today's daily painting is of a sunlit building in Eastern Market. 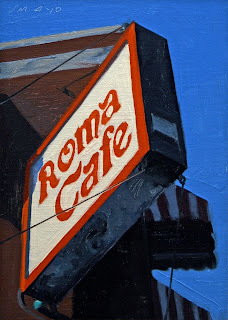 It is attached to Roma Cafe, the oldest Italian restaurant in Detroit. 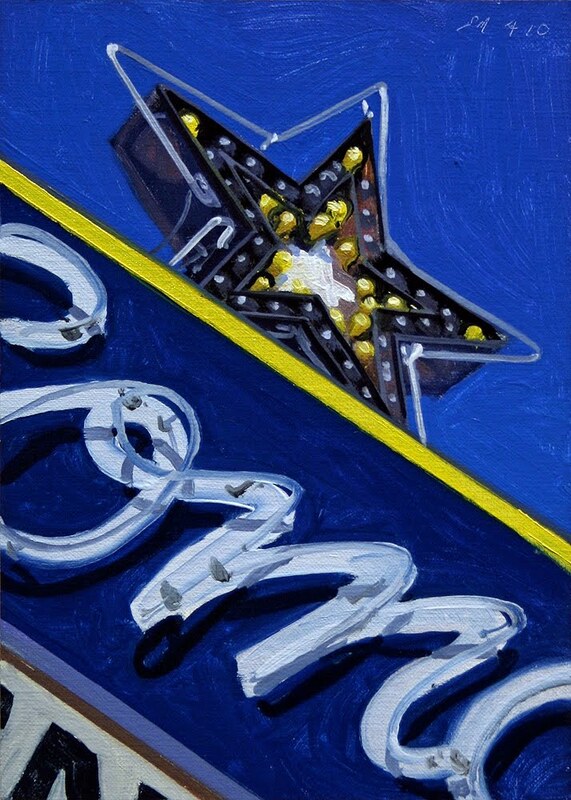 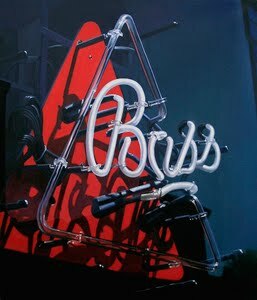 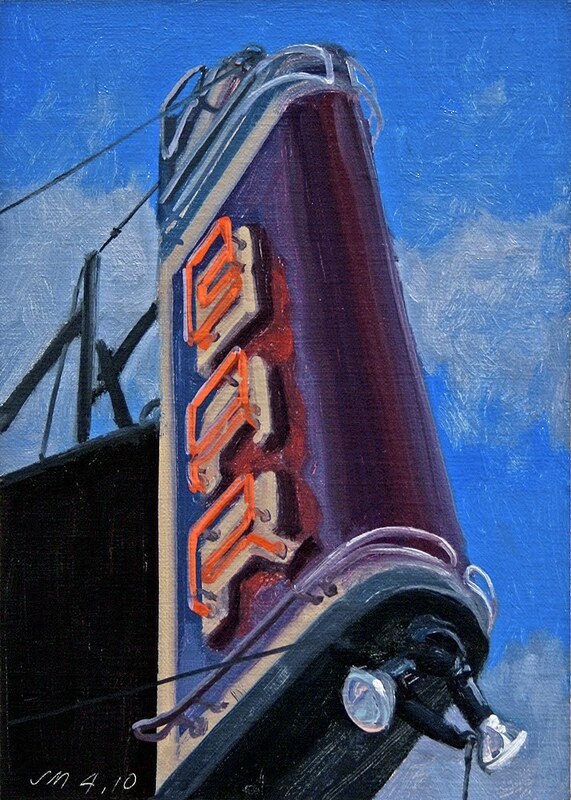 Today's daily painting is a detail of the sign at Como's restaurant on Woodward Ave. Janet and I had studios across the street from Como's in the 1990's. Many a pizza and beer were enjoyed there.